The Violence of The New!! It has been a much shorter week here at the Loft. Last week I brought you the Loft’s weekly news update from the beautiful Lake Como. Well the final day of our trip was spent in Milan. You can read about my day trip to Milan trip in my personal blog. https://www.theloft.co/comment/milano-taking-style-one-step-further/ But, you can also read about the rest of the Loft’s weekly news below, including how we plan to embrace ‘the violence of the new’ and also some information about some very talented people. It is quite funny but as a designer, we are constantly questioning the purpose of something. If you observe history and do it cleverly, you will find that every object and industry can be traced back to the evolution of human beings needs and desires. This is as true 100’s of years ago as it is today. However, these needs, desires and resultant behaviours are forever evolving. The companies that survive and thrive are the ones that embrace this change. They are the ones that give their customers greater functionality, performance, convenience, style at every passing turn. The Horse and Cart was a great way to get around your city, until the automobile arrived, it wouldn’t matter how efficient the carts could be built or how strong the horses could become. The paradigm had shifted, that particular sector had re-invented itself. Horse and carts evolved from being the object for the masses to the object for ‘the special occasion.’ This always happens when romance overcomes reason. The same can be said for almost anything. Take things like LP’s, typewriters or even classic cars themselves. Almost everything evolves and the products/services that offer the best balance of style/performance/functionality for its intended audience will always remain those most in demand. If a company wants to remain relevant, its designers have a duty to be constantly looking for solutions to the problems of tomorrow. With this in mind, it has got me thinking more and more about the Loft’s main genre ‘webdesign.’ The web is fragmenting at a tremendous rate, a traditional website may no longer be enough. People are making their first interaction with companies on a greater variety of platforms. Devices from Smartphone’s to tablets computers. Supposedly 76% of people view websites from non-desktop devices. The one size fits all approach will soon not be enough. Furthermore, the channels to the site are also diversifying. People are unlikely to just check out a site anymore. E-mail newsletters, SEO, online campaigns and social media all have their parts to play and may be joined by further innovations. As a company that is determined to shape the future and not be held hostage to it. In the next couple of months, you will find the Loft beginning to offer a much more comprehensive and forward looking range of services that take into account this fragmentation. Solutions that work for the next generation of web users. We will embrace ‘the violence of the new.’ Not by crying over potential losses in websites but by preparing to offer solutions in more relevant areas. Whatever the platform or channel, we promise that the solutions we provide will be designed with soul. Last week I met some remarkable people who I wanted to discuss in greater detail this week. Last Wednesday, I finally met with a very impressive lady. Diane Holden (third from the left) of Freelance World. Definitely, not your regular accountant. I had been meaning to meet with Diane for quite a while as I was very much impressed with her energy and liked what her company, Freelance World, had done with their brand. I first met her at a Thrive networking event and the first thing that struck me was that there was a twitter username on the business card. This game me my first indication about Diane’s unique approach to accountancy. I had also been made aware that Diane ‘isn’t just an accountant’ through one of my clients, her knowledge of business and finance is so much more encompassing. This qualifies her as a lady with vision which automatically means I am interested. And Diane didn’t disappoint in that respect, although we didn’t really go into much detail in her chosen subject I was massively impressed with what Diane and her associates had done with Freelance world. All staff use social media well, have twitter addresses on their business cards, regularly post videos on vimeo, they have ‘the jelly wall,’ and what looked on-screen like a great work environment in their main Aberdeen office. Furthermore, it is a company that fully understands the strength of the collective. Diane is equally as engaging – we had a great chat about anything and everything from cars and watches to houses and clothes. A 2-hour chat that flew in a second, I look forward to getting to know Diane and the freelance crew more in the future. One of the first people I met at the Banter when I began was Jim Henderson, a business coach for Shirlaws. For some reason I was having an off-morning and when asked what I do, I nervously told Jim that ‘the Loft was just like any other design agency. ‘Words that couldn’t be further from the truth. Jim wasn’t one to let it go and subsequently collared me about it and rightly so. That was a few months ago and since then I have got to know Jim well through chatting and also through following his twitter/blog posts. I must say I am massively impressed with Jim and can honestly say that after every meeting/chat, I leave feeling more clued-up, aware and empowered than before. An immensely powerful tool that Jim has and uses to great effect with his clients. Jim has an unrivalled passion for business as well as the people that create them. Businesses of all shapes and sizes. He is probably more interested in businesses that do have a culture and a strong philosophy and how they can be nurtured to grow than those that exist solely for the bottom line. In addition, he has already explained to me that growth can be in a number of ways, not necessarily the bottom line. He has a wealth of knowledge, experience and expertise to assist his clients. But uppermost with his coaching, he will not tell businesses what to do. He prefers to gently allow business owners to find their own way by asking the right kind of questions and letting business owners consider all of their alternatives before going forth. He does have a coaching structure which is loosely applied and not overly process oriented, mainly playing what’s in front of him instead of dogmatically trying to enforce what he believes to be right onto a business. This allows his clients to make up their own minds which strengthens the owners own convictions. This is very important as it is the business owners themselves who drive through change. Although I haven’t received any coaching from Jim as of yet, I do get the feeling that his biggest quality is that he makes his clients aware of ALL the opportunities in front of them. Opportunities that they may yet know themselves existed. At the end of the day, he wants to unlock potential and create capability. And from what I hear, he does it very well. He is also fully engaged with the cutting edge of technology, everything from online coaching resources to social media. Finally, although Jim works as part of Shirlaws coaching (one of the established names in business coaching) and has access to some wonderful resources, he is not paid a salary. He ‘has to feed himself.’ This means that Jim has to confront the range of challenges that the rest of us have too – marketing, networking, sales, customer service, accounting etc. This only improves his expertise as he has to face the same daily challenges as the rest of us. Jim and Shirlaws ‘love business’ tag could not be more true as he briefly explained some of the things Shirlaws have in the pipeline in the medium term. As I have already said, one of the best thing about every meeting with Jim or every time I read one of his blog posts is that I definitely feel empowerment and that I have learned something. If you too would like to learn new methods to enhance your business. One of Europe’s design capitals. I must say it was so exciting to return to a city where I used to live. Milan lives and breathes design, everything from fashion to architecture to interior/product design. It was also the week after the famous Salone del Mobile, so the city was still in a particular ebullient mood. One of the things I like most about Milan is the Milanese men’s fashion. In terms of the corporate style, they are so adventurous in their mixing of accessories with traditional corporate clothing and somehow or other, they pull it off. The blazer and handkerchief mixed with smart jeans and jumper. The corporate suit mixed with trainers giving a utility-corporate look and a range of things you don’t see so often here in the UK, such as experimentations of suits in a wider range of colours, skinny ties, cravats, watches worn over the shirt. All very cool and an impressive extension to the regulated corporate look. It is probably in product design where Milan’s reputation is strongest. There are a host of shops, in Milan’s San Babila area, selling the most creative and elegant products around. Cassina, B&B Italia, Artemide, etc… These shops sell a host of objects, that its safe to say you wouldnt find in Ikea. 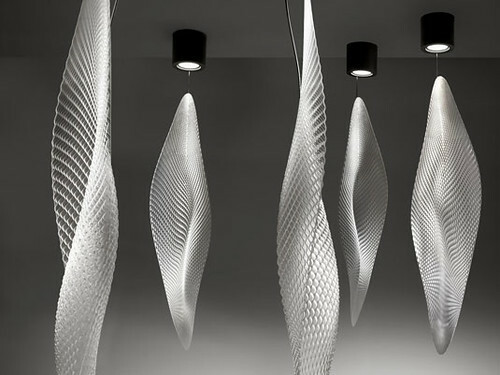 One of the more interesting pieces was the UK’s very own Ross Lovegrove’s stunning ‘Cosmic Leaf’ lights. We first set sight on these wonderful objects in the new IDEA hotel in Milan. A very smart and reasonably inexpensive fashion hotel based next to the Central Station. The lights are made of a perforated metal with a stunning texture. it is the combination of the texture and biological form that sets them apart from more traditional lighting solutions. One thing we did see in the midst of Milan’s Montenapoleone area was one of the stars of Milan’s design week itself. The Z-chair by renown Iraqi architect Zaha Hadid. 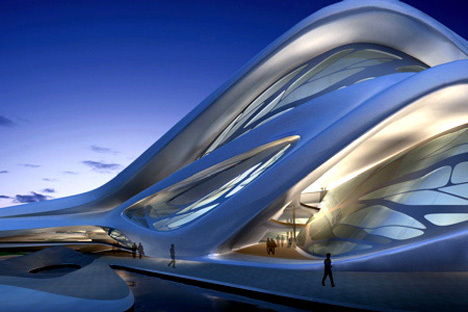 Zaha Hadid has undoubtedly been one of the designers of the decade, spearheading a very distinctive ‘deconstructive’ style. This modern style is embodied in things like the stunning Abu Dhabi ‘Performing Arts Centre’ as well as the impressive ‘Acquatics Centre’ for London 1012. She has the strongest of signature styles which has, in the last decade, found its way into product design. Her products all use the exact same aesthetics as the buildings but make greater use of natural forms. This is rare for product designers who tend to stick within a more geometric design language. The Z chair’s sculpted appearance is very smart, very strong and the use of stainless steel lends the design even greater impact. It costs £200,000. I thought this ridiculous, there may only be 24 pieces being produced but this chair, with very limited functionality is not worth this price. it shows that we are truly in the age of the celebrity designer where Zaha Hadid’s name is now up there with Mark Newson and Phillipe Starque. Yes, the design is impressive but people are not paying for this, they are paying for the ‘Zaha Hadid’ name. The object will not be used as a seat but as something for the rich to show off to their friends. What I find a little insulting is that design of this quality lives in the sketchbooks of hundreds of young unknown designers who could not dream of asking for such a price. I don’t blame Zaha Hadid or anybody in particular I just think its mad. Finally, one of the things that I have always liked about the Duomo area of Milan is that all of the shops have such impressive window displays. They are like works of arts in their own right. We are getting better in Britain, but we still have some to go to beat the Milanese. Elaborate fashion displays complimented with lifestyle products, posters or even theatre props. Some are truly spectacular, and a great way of communicating the brand’s raison d’etre. My favourite this year was Replay Jeans who had basically installed a full jungle into the front of their store. With plants growing (to be honest, they looked more like they we’re dying) in suspended perspex balls, wild leaves and shoots of bamboo all complementing the utility of their jeans. Absolutely brilliant and typical of Milan’s attitude in taking style one step further. Or maybe that’s the more sober ‘Easter Holidays’? ‏Anybody familiar with Kevin Bridges will be aware of the last joke. Well its Easter weekend and very nice to be writing this from one of the Northern most towns in Italy, close to the Swiss border. The beautiful lake Como. It has been an absolutely breathless couples of weeks at the Loft with a number of project being worked on for a range of clients. It really has been a ‘head down and get on with it’ kind of time this week. But along with being busy at work I have been able to meet with some very interesting people who each have great talent for what they do. But before I talk more about them, some of you who read last weeks post will remember me including a video of Steve Jobs Stanford University address. Well ironically Apple are at the forefront of my mind once again. Now as some of you who know me, I don’t really have any Apple products, I love the company, its vision, most of its products but I personally value distinctiveness above everything else and just didn’t fancy being another creative hooked on Macs. Although after yesterday, that view might be slightly eroding. My Blackberry Bold, which I personally think is a great phone, has decided recently that it would rather not take my calls and puts most of my friends/family/clients straight to voice-mail so it was time that I took it to the Vodafone shop to get it fixed. 15 minutes for a quick software upgrade. So, I decided to have a look round store, I really love my blackberry and I am due an upgrade in a couple of months time so I made a bee-line for the new Torch, it actually looked really good. Good interface, smart graphics, lots of features, hopefully all making the blackberry a bit more browser friendly. Not quite as pure or refined as Apple but mainly pretty good, and I am sure a more compelling product. And most of all I liked the contrast of touch-screen and the keypad. Definitely a blackberry’s best feature. For somebody that types a lot on the move (co-incidentally this blog is being written straight from my phone,) this feature makes any good blackberry a must have. So the Torch looked like a perfect candidate for my next phone. However, I was a little perturbed to see a cheap looking white version right next to it. And then a multitude of garish looking multi-coloured BB Curves. Add to the fact that the new bold is not as nice as the old one and I am starting to worry a bit about where Blackberry really wants to be. I then had a look at a lot of other phones, it was funny to see the Nokia Blackberry rip-offs and the Samsung I-Phone rip offs but that is par for the course in design. I was quite impressed with the new Sony Ericcson’s and some other phones. But in terms of presentation they were all a little bit disappointing. HTC in particular have quite an interesting take on the next range of business phones but they’re advertising is dreadfully off-message with bright lime green being used in the ads to sell a business phone-please… Blackberry as well could up their game a little, with some rather poorly finished poster campaigns, however the promotional video for the torch is very good. And then, I turned the corner, and there it was. Only one in the store, one phone, one simple poster but what a statement. Yes, the Apple I-Phone 4, “The Phone that changes everything.” Now the phone and the ad-campaign have been around for quite a while now but I was struck, when compared to the rest, how good it really is. Everybody knows what an I-Phone can do, but what most people don’t see is the quality of execution. The quality of the metal finish around the phone, the effort that has went into every graphic used for the interface, it really is a tour-de-force in design refinement and elegance. But it wasn’t until I stopped looking at the phone that I seen the poster up close. Now I have seen and liked this poster for a long time but this time after having seen the poor incongruous efforts made by the others that it really hit home how good Apple are. The photo of the phone on the poster is fantastic, great composition, interesting angle, beautiful gradient backdrop, great contrast etc. Then there is the type, the traditional Apple font, but this time- ever, ever, ever so subtly controlled with faint highlights and shadows with the tiniest and most subtle of chiselling on the edges. Along with the apple logo and the message itself- it was awe-inspiring. So pure, so minimal yet so clever and understated. The design along with the technology are all absolute vindications of why Apple are the undoubted kings of the phone market. Am I tempted to change? Hmmm, let’s wait and see, couple of months left before decision time. So have a look and see if this app may be able to help you in the never-ending quest to choose somewhere to dine out. Daniela Castrataro and the Twintangibles revolution. I can’t hide the fact that ‘the social media revolution,’ which is a genuine one has also led to a thousand people jumping on the bandwagon. Supposedly if you can use facebook, twitter and blog every now and then. You too can charge businesses a fortune to do it for them. There are a lot of cowboys out there. However, not everybody. On Tuesday night I had dinner with a girl that actually has a vision for social media. See Daniela, has a grip on all things ‘social media’ She has personal and in most cases business accounts for all of the following – facebook, twitter, linkedin, flickr, youtube and a whole host of others I don’t even know about. In addition she has a blog that she updates regularly, and when you multiply a lot of these accounts for her clients, you start to understand why Daniela doesn’t seem to sleep and has more than one phone. This is a girl that is ingrained in social media. But all of the things I mention are just beginning to scratch the surface, about where Daniela and her equally as impressive partner, Tim are going with Twintangibles and social media. What sets Twintangibles apart from the crowd is that they have ideas, lots of them about how companies can use social media to properly engage. 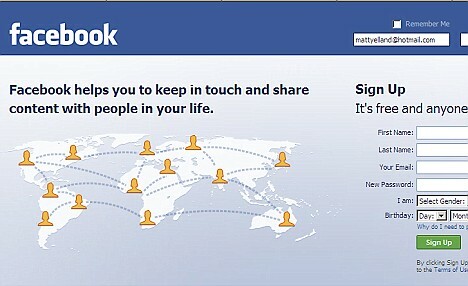 Any individual can post all the time on Facebook. That is making a lot of noise. But how many of them properly engage, it isn’t as easy for a company to build relationships online as it is an individual. It requires thought, foresight, making use of your staff in the correct way and many other ‘intangibles.’ Altogether it is a completely different proposition to posting as an individual. Twintangibles offer training and very strong strategies that allow companies to engage properly. Furthermore, they have got a lot of interesting posts on their website/blog etc about things I had never even heard off. Interesting concepts such as social media through crowd-surfing being used to fund independent journalists in Libya. Cutting out the middle man of the news papers/channels. They really are one step ahead of a lot of other ‘social-media’ people. They arranged the wonderfully impressive ‘Social Media Unleashed’ event a couple of months ago at the light-house in Glasgow. In the spirit of social media, nobody was paid a dime, but everybody that contributed would have gained something in terms of exposure. Twintangibles did not charge for tickets, they did not present themselves, the guest-speakers, including those from Cisco Systems and LinkedIn themselves, weren’t paid and the wonderful Light House venue was provided for free. All free but everybody was a winner in some way, a wonderful example of the power of social media. And a great testament to the talents of Daniela and Tim. Watch this space to see more about SMU2 coming in June. Now for the fun part you can find out more about Twintangibles using any of the following. As I said at the beginning of my post, I am currently enjoying the beauty of Lake Como on a brief long easter weekend. The reason for the trip, my mum, Anne Marie, was born 50years ago and unbelievably her special birthday fell on Easter Sunday. My mum is an absolutely incredible lady in many ways. Its so nice to be able to spend this birthday with her and the rest of my family in a place as beautiful as Lake Como. Also being quite a private person, she won’t appreciate me saying any more. So I will leave it at that. Happy birthday mum… We all love you!!! A lot of people have been asking me recently, “what exactly does it mean?” It is quite a big and far-reaching statement but it is an absolute statement of intent for the work we do. Soul can be perceived in many different ways. Depending on the person, it can mean passion, emotion, dedication to the cause, indeed ‘heart and soul’ is a very familiar phrase – but this can be misleading – some of the most soulful pieces of design in the past have been done in a calculated way. Yet they still appear soulful, it is a word I love and now replaces ‘X-Factor’ as the term of choice for designers. Before Simon Cowell crucified the term with music that has anything but. ‘X-factor’ was widely used by the design community to describe design that left you speechless, the wow factor. Seymour and Powell were the first two designers I can remember using the phrase, on the tv about 15 years ago with their series ‘better by design.’ The crucial part of the ‘design with soul’ moniker is the word ‘design.’ Design isnt art, it can be done artfully but it is not self-fulfilling unlike music or actual art. There are hundreds of ways to describe the term ‘design,’ but ultimately it is a marriage of style and functionality. And this is why certain objects are designed with soul. After leaving NS Design’s studio a couple of weeks ago, I happened to come across a beautiful Ducati Monster. Now I am not a biker, but boy does this bike look the part. And I am told it performs accordingly, this is true design with soul. The passion in the people making this bike is apparent from the way it looks and performs- but if this bike was useless- somehow it just wouldnt have the same appeal. I think it is one of the reasons that the new Ferrari 458 SuperItalia is such an impressive design, because it is one of the finest cars, never mind Ferrari’s, ever built and that just adds to its appeal. There are hundreds of examples of great machines that look soulful, but how many websites do we see that make this kind of connection? Seldom few. At the Loft we work on all forms of 2D digital and printed design, but the majority of our work is digital. And with there still being a vast majority of beautifully conceived and beautifully executed print work still being produced, it is the digital arena which is in the greatest need of better design. If we can have great graphic work, and there is a serious amount of impressive graphic design still going on, then why can we not produce digitial content that has the same effect. Work that does impress the audience with its intelligence, charm or even humour. For a brief period, it looked like Flash was the great savour for designers, allowing them complete ‘carte blanche’ to design beautiful websites- however in today’s climate, Flash does seem to be limited with Apple refusing to use it in their phones/tablets as well as the ‘Search Engine’ question. All websites should be built today on CMS systems. However, that does not mean that we should tolerate the mediocre, it is up to great developers and designers to unite to marry their skills in creating fantastically performing sites that also takes their audiences breaths away. This is our mission here at the Loft, to marry excellent functionality with beauty that will inspire. Its not easy and many sacrifices are made, but the final results definintely make it worthwhile. Creating, I sincerely hope, design with Soul. As many of you are aware, I have only recently moved to Glasgow and it has been brilliant to finally get out there and start networking. I really love networking, its a difficult balancing act between getting the head down to do good work and getting out there to sell your business. But ultimately it is something most people in business will have to do at some point, it isnt really work and you get the chance to learn an awful lot about what people do. Furthermore, I heard somebody say this week that ‘Glasgow is a village,’ it is kind of true, but what a fantastic community. There is a great buzz between the people with their own businesses, a really postive energy. In addition to everything else, it has also been really nice to meet some new friends. One such person is Brian Tait. Brian runs an online marketing company in Hillington called Aillum Marketing. Now there are a lot of ‘fly by night’ online marketeers around at the moment, promising you all sorts of things that they can achieve on Google. Brian is no such person, for a start – Brian has been working in online marketing almost since the internet was first conceived. Brian’s speciality is ‘analytics,’ and he is truly awesome with it. Speaking to Brian, I occassionally get the feeling that he has forgotten more than most online marketeers have ever known about their chosen subject. He doesn’t make silly promises and best of all can display hard data to back up what he does. One of the things I like most about Brian is he knows what he can do, and what he cant. Stating that he is absolutely not a designer. So it was really nice to be asked by Brian to design a logo and redesign the home page to his pet-project ‘Renfrewshire Pubs.’ A new site aimed at getting more people into the pubs of Renfrewshire, it already has the backing of the local council and in a short space of time- a fair number of followers on facebook as well as the backing of most of the local establishements. Check out the logo we designed for Brian, in addition to the revised site design coming later next month. As I said last week, the ‘business banter’ has proved to be one of the more enjoyable networking events around Glasgow. So it was great to have the first ‘digital banterer’ session with Lynne Foster of Polr Web, Brian Tait of Ailllum Marketing, Martin Jack of Think Different and our first self proclaimed ‘guinea-pig’ Gary MacMillan of MacMillan & Company. Along with Colin of 5thColumn, we will be providing an incredibly thorough audit of their company website, covering all aspects including branding/graphics, usability, online marketing and SEO analytics. We are going to pilot this scheme over the next couple of months, so if you know of any companies that may require such a service, please dont hesitate to let us know. And finally with the London Marathon this week…I thought I would wish the best of luck to Gayle Mann of the Go-Group. Now Gayle is probably one of the most competitive people I know, having done a couple of Gym classes with her at the beginning of the year – I dont believe I have ever met a fitter lady, 10-mile runs at the weekend are fit in around weekly body pump/spin classes with ease and Gayle’s not the type to go half heartedly. This lady red-lines it every time. Funnily enough, to boost her donations, Gayle proclaimed on Facebook that she would run the ‘Belfast’ marathon two weeks later if she could hit £1000, cue mass amounts of donations and Gayle has now raised over £1500 for her charity ‘Funding Neuro.’ So two marathons await for Gayle, I expect a time that begins with 3h at the start of it. You can check out her progress on her personal blog. Finally, this time next week I will be Como bound for an extended weekend away, so an even shorter news post next week but until then, let me leave you with a fantastic speech by a very inspirational man. I was informed of the video from Sarah of PSYBT, it is Steve Jobs of Apple on receving his honorary doctorship from Stamford Uni. The message, ‘Stay hungry, stay foolish.’ I think that’s a great message to leave you with this week. Instead of sending one-off news posts every so often, I thought I would take the time to post a weekly update on all the happenings at the Loft. A kind of blog, but more personal and geared towards the daily ins and outs of running a design business instead of talking about design per se. It has been a very, very exciting time for the Loft with so much going on. Everything from moving premises to welcoming new clients on board to actually starting to consider the company’s future strategy in a radically changing digital world. The Loft has now been going for two and a half years and I am not sure if many of you are aware of this. But we actually set up with backing from the Prince’s Society of Youth Business Trust (PSYBT) back in 2008. Amazingly one week after Lehman Brothers collapsed. PSYBT’s financial support, and more significantly the pastoral support from Walter and Stewart in Ayrshire were initially, a massive help. The Loft has moved on from its early days when I was operating out of the loft of my mum and dad’s house in Kilmarnock. But PSYBT have remained a constant presence. I had made a decision late last year that the Loft would dedicate one day a month to helping charitable causes, and it quickly became apparent that there was no better organisation to help than the one that had done so much for me, PSYBT. Ironically, when the Loft moved into its new premises last September. PSYBT were also there too, sharing with the Go-Group guys. Represented by two lovely young ladies running the Glasgow office, Sarah and Gina. Along with Emma, from head office, these girls have been brilliant to me and it was with great pleasure that I worked very closely with Sarah to design the new branding for PSYBT’s ‘elevator’ evening as well as the promotional flyer. What gave me even more pleasure was that ‘Elevator’ on Wednesday night at Sloans in Glasgow was a massive success. I can honestly say that everybody enjoyed it and got something out of it. The format was exceptional, David from Digital Goldfish gave a very inspiring talk and Sarah was an exceptional host. You honestly know a good networking event, and I have been to my fair share recently, when the delegates are getting kicked out at the end. It was great to catch up with Gordon Lundie of ‘Logic of 8,’ Laura McMenemy of ‘Truly Irresistable’ and Kenny of ‘Where to now.’ Furthermore, the buzz on twitter was all very positive. It was also really good to see some exceptional and creative brand identities from some of the younger businesses I am really looking forward to working on more graphical work with PSYBT for oncoming events as well. I must also say a big thank you to Jeff, who very kindly gave me a PSYBT pin badge for my jacket, a very kind gesture. Jeff, a PSYBT ambassador, has also been a massive source of support in the last few months as well as a really good friend. Yes, I would wholeheartedly recommend PSYBT to any aspiring entrepeneur. This week was a great one as we welcomed a number of new clients to the Loft. I will talk about some of the others next week. But in the meantime, it is an absolute delight to be working with Nicole Scott of Making Trax Ltd. Nicole is a very driven and ambitious girl setting out in business for the first time. It gives us great pleasure to be designing Making Trax brand identity as well as their website and promotional material. Making Trax Ltd is a travel company aimed at helping take school kids who play sports on those special away days. Nicole will be arranging trips all over Europe for thousands of kids in the West of Scotland. After a few initial meetings, I have absolutely no doubt Nicole’s business is going to be a massive success. Watch this space to see the new Making Trax brand identity and website. As well as new clients, it was an absolute pleasure to welcome Nisha to the Loft for her loft-experience. I met Nisha at the Elevator event on Wednesday. Still at the early stages of creating her business plan, Nisha plans to open a very modern and innovative shop for Asian Grooms wear in the autumn. This ‘future tycoon’ has some very big ideas about building a great brand with customer experience at the heart of it. Her loft experience was good fun as we generated some great ideas about her brand, which I may say is already sounding very exciting. Along with Nicole, watch out as both of these girls are ready to take on the world!! One of the nicest surprises of the last couple of months is finding ‘Business Banter.’ A networking event ran on a Thursday morning by Think Different’s Martin Jack (Jacky to friends.) #TDBB as it is known on Twitter is held every Thursday morning in the basement of Esquires coffee shop, Renfield Street from 0800 to 1000AM. It is one of the nicest events to attend as it is full of great people who are just in for a chat, I cannot tell you the number of great people I have met from this event. What I really like about it is that you are free to come and go as you please, it costs just a price of a coffee and because there is no agenda – you are just left to get on with it. Which I think is to everybody’s liking and makes an exceptional environment to do business. Well, last week I received an e-mail from Jacky saying he was interested in trying something new and I was to be invited with some other people to brainstorm future technology ideas, not really sure what we’d be doing. So on Tuesday along with Colin of 5th Column, Lynne of Polr, Brian of Aillum and Jacky himself. The digital banterers were borne. I dont quite know why or how we got to it. But somebody thought it a good idea, that collectively we would be a good team to be able to audit people’s websites. Everything from graphics to the usability to the Analytics. Before we knew it, Jacky had got us our first client before we had even left the building. Now that’s what I call speed. So this week we look forward to auditing Gary Macmillan of Macmillan & Company’s website. Gary is the first person we are going to pilot the scheme with. But there are some very talented people on board so it will be interesting to see where this little venture takes us. And yes, yours truly will be auditing the looks of the sites and how they connect with their audiences. One thing the digital banters is doing that vaguely chimes with the Loft is its embracing of the future. I have been saying for a while that as Glasgow based businesses, if we want to win work from other countries or from our London based rivals, we must be one step ahead of them in terms of digital innovation. It is something that I am massively passionate about. I am toying with the idea of creating a LinkedIN group, simply used as a knowledgebase to share new ideas, new innovation. However, it may just be one commitment too far. What does really annoy me is people simply jumping on the bandwagon. There must be hundreds of so-called social media consultants appearing with the dawn of Facebook, twitter etc. All hailing ‘Social Media’ as a new thing. Yet with very little vision of how this tool can be used in an innovative way. Social media has been used by some companies for more than five years now, so its hardly new. This kind of mentality isnt going to get us anywhere, what I want to know more about is-what is next?? LinkedIN, Twitter, Facebook, Digg, StumbleUpon, etc. How can we use them to better enhance our marketing activities? We know the present, but what is the future? One man that does seem to have a better grasp of the future than most and has been talking about social media with conviction for a number of years is Gary Ennis of NS Design. I had coffee with Gary a couple of weeks ago and it was first, very inspirational to see the way he has built NS Design into a great and award winning company, but also to hear that we shared many similar points of view on the future of the web. We are definitely going through the next generation of the web, it is no longer enough just to have a website. Companies have to be aware of their ‘web presence.’ Yes websites are still important, but so are e-mail newsletters, social media channels, mobile sites etc. Each and every exponent as important as the other. Instead of bemoaning the fact that we may lose business in websites, we should be prepared to lead the way with things such as facebook integration which may mean companies having multiple mini-sites. This can only be good for the digital community. So this along with many other innovations such as Bar-Codes are things that we want to be leading from the front at the Loft. So this is what we mean by embracing the violence of the new! And you are going to hear us talk a lot more about it in the future. Finally, massive congratualtions to Brian Canavan of Aperture Marketing who became a proud father for the first time. We wish him and his new family all the best.